Assessment is a value-laden activity surrounded by debates about academic standards, preparing students for employment, measuring quality and providing incentives. There is substantial evidence that assessment, rather than teaching, has the major influence on students’ learning. It directs attention to what is important and acts as an incentive for study. 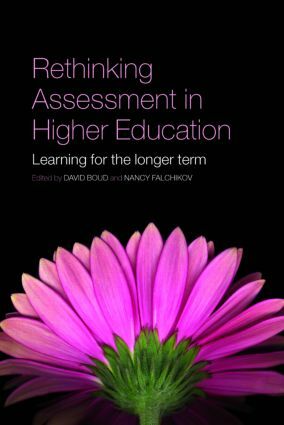 This book revisits assessment in higher education, examining it from the point of view of what assessment does and can do and argues that assessment should be seen as an act of informing judgement and proposes a way of integrating teaching, learning and assessment to better prepare students for a lifetime of learning. It is essential reading for practitioners and policy makers in higher education institutions in different countries, as well as for educational development and institutional research practitioners. Assessment in higher education: An impossible mission? Conceptions of self-assessment: What is needed for long-term learning?